Your wedding is one of the most significant days of your life. We are happy to assist you in making arrangements for your special celebration. 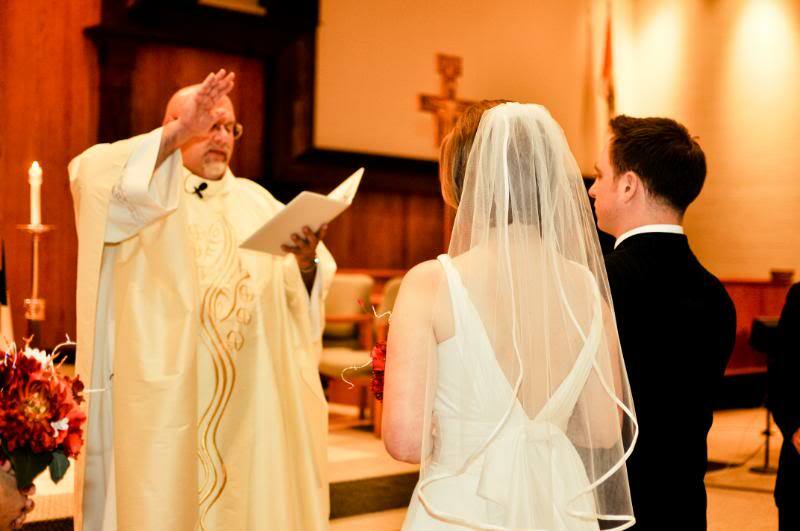 Weddings are a special and joyful time for brides, grooms, for their families, friends, and for the parish community. We are happy that St. Joseph Parish will play a role in this sacred and blessed event in your lives. *If you were married outside of the Catholic Church and would like your marriage blessed please call the Parish Office for more information. Contact the priest at least six months in advance of the date of your wedding and before you publicize your date or finalize your reception hall rental. Generally plan to schedule your wedding on either a Friday or a Saturday. A wedding is considered booked after the couple meets with the priest and a non-refundable deposit of $250.00 for the Wedding Mass or $200.00 for a Wedding Outside of a Mass is paid. All fees cover the use of the church, arrangements by the priest, the wedding coordinator and sacristan. Schedule the rehearsal time when you meet with the priest. Due to other church commitments, it is necessary to begin rehearsal on time with the full participation and attention of those involved in the ceremony. For Saturday weddings, the wedding party must vacate the church before 3:30 PM. Confessions begin in the church at 3:30 PM. Current Baptismal Certificate (with notations) issued by the Church of Baptism within six months of the wedding date set with the priest. Proof of the completion of an approved Marriage Prep Course. We can provide marriage preparation for you through our innovative relationship coaching program, or you may use another approved program from the Diocese of Youngstown or another diocese. The priest will discuss your options with you when you meet. CLICK HERE to learn about our relationship coaching program contracted through Coaching to Connect. Civil Marriage License: Mahoning County Probate Court, 120 Market Street, Youngstown, OH 44503. Apparently, there is a connection between expensive weddings and marriage stress. 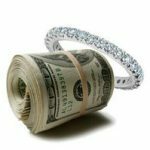 Couples who spend less on their weddings are reporting that they have happier and longer marriages.